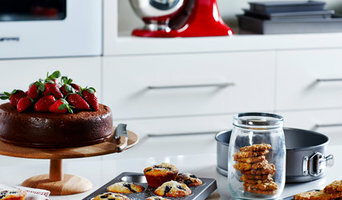 The colourful KitchenAid range can be found in homes across Australia, New Zealand, and the world. Whether it’s our Food Processor, Pasta Roller, Spiralizer, Craft Coffee range or our classic Stand Mixer where the story first began, there’s a reason our products have been welcomed into so many homes. Our passion is for cooking, for fine food and how it celebrates a connection with our loved ones and our long-standing traditions. We know that a familiar smell, or taste, can instantly take us back in time to special moments we lived long ago. Whether it’s Grandma’s age-old carbonara or Dad’s grilled lamb rissoles on a summer’s barbecue, KitchenAid helped bring the meal to the table. Once upon a time, there was KitchenAid. And since that time, we’ve stayed true to our passion for crafting high quality products that ultimately help you produce beautiful results in your kitchen. 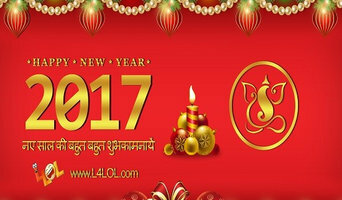 Celebrate Happy New Year 2017 with Happy New Year 2017 Images , Happy New Year 2017 Wishes , Happy New Year 2017 Wallpaper, Happy New Year 2017 Messages. GoGetEco is a website dedicated to bringing you the latest in cool eco friendly gadgets, future gadgets, future tech, the latest in green technology, eco friendly products and cool green tech inventions. At GoGetEco we believe that going green does not mean sacrificing your lifestyle and that green tech and eco friendly products can give you the lifestyle you desire whilst moving towards a more sustainable future. Our products cover energy efficiency, electric transport (electric bikes, alternative electric transport), renewable energy, solar power, sustainable materials, eco friendly products, and much more. At GoGetEco “Green is the New Black”. Create the best atmosphere with world class DJ equipment, sound, lighting installations and hires at Newcastle from Beyond Sound & Lighting. Young Academics early learning centre in Wyong. The former Wyong courthouse has been transformed into a boutique child care centre offering a unique, state of the art learning environment to help your child grow in academia, confidence, initiative and in building their social relationships. The centre provides superior care for children aged 6weeks to 6years and features its own in house cook to prepare a number of nutritious meals a day. 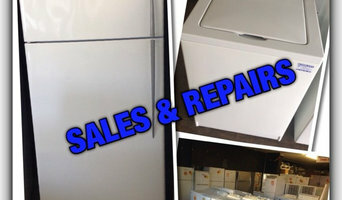 Your New South Wales appliance professional might handle any or all of the following jobs: selling, installing, repairing and upgrading both small and large appliances. He or she can advise you on the right equipment for your Newcastle, New South Wales home, from features to finishes, and is usually in the know about the latest technological advances and bells and whistles. When appliances hit a snag or start to show their age, a pro can advise you whether to repair or replace them, then carry out his or her recommendation. Some appliance professionals in Newcastle work closely with Newcastle, New South Wales builders, renovation contractors, and kitchen and bath designers, among others. Here are some related professionals and vendors to complement the work of appliances: Kitchen & Bathroom Fixtures, Kitchen & Bathroom Designers, Kitchen & Bath Renovators, Specialty Contractors, Building Project Managers. Find an appliance professional on Houzz. Narrow your search in the Professionals section of the website to Newcastle, New South Wales appliances. You can also look through Newcastle, New South Wales photos to find examples of rooms with appliances you like, then contact the professional who worked on them.